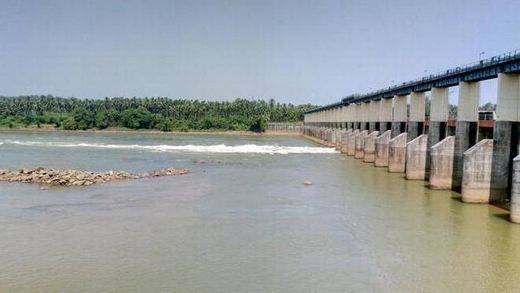 Mangaluru, Nov 19, 2018: The Mangaluru City Corporation (MCC) commenced a process to enhance water storage levels at Thumbe vented dam across the River Netravathi, to a height of 6 metres from Nov 18, Sunday, to meet the water requirements of the city in summer. By storing water up to 6 metres, there will be 10.83 MCM (million cubic metres) of water in the dam. This will be sufficient for the daily supply for 60 days by pumping 160 MLD (million litres a day). This is the second time that the water will be stored up to 6 metres since the new dam was built at Thumbe across River Netravathi in 2016. The dam’s full reservoir level is 7 metres. The Mangaluru City Corporation has warned people residing on the banks of the river to be cautious. People have been asked to be careful as the water level will go up on the river bank.